Cannabis Europa Paris takes place 8th February 2019 at Maison de la Chimie, a world-renowned scientific institution in the heart of the city. Famed for its cultural landmarks and home to over 70 Michelin-starred restaurants, Paris also boasts an array of public gardens, markets, and some of the world’s greatest galleries and museums. A figurehead of Surrealism, Miró went through decades of evolving artistic trends, but always kept true to his own poetic universe. With some 135 works, the Grand Palais offers a high-profile retrospective of the Spanish artist and traces 70 years of his creative output. A powerful tribute to an artist who would have turned 60 this year. La Philharmonie traces the path of iconic photographer Robert Doisneau through the world of music. The fanfares, the cabarets, meeting jazz musicians and musical artists of his time, this most famous Parisian photographer captured the moments and immortalised them. This exhibition, co-organized with the State Hermitage Museum in Saint Petersberg, provides a comprehensive overview of the 19th century’s largest private collection amassed by Italy’s Giampietro Campana, consisting of over 12,000 archaeological objects, paintings, sculptures, and objets d’art. A multi-disciplinary festival which was founded in 1972, the Autumn Festival in Paris brings together theatre, music, dance, film and the visual arts at the forefront of the cultural stage. Hosts opera, ballet and chamber music performances. The Philharmonie de Paris is organizing an exceptional series of cinema/concerts at which the essential episodes of the Star Wars saga will be shown on a giant screen as the soundtrack is performed live by the Orchestre National d'Île-de-France. The finest royal chapel to be built in France and features a truly exceptional collection of stained-glass windows. It was built in the mid 13th century by Louis IX, at the heart of the royal residence, the Palais de la Cité. These formal gardens, open to only royalty before the French Revolution, now serve as one of Paris's most popular destinations for relaxation. This 'wonderful, narrow crowded market street', sports bright and bustling stalls of fruit and veg in its cobbled lower stretches, its atmospheric buildings making it one of the city’s loveliest street markets. Sunday, 9am-12 pm; Tuesday-Saturday, 9am-1pm. Established in 1862, Laduree is a restaurant as well as, more famously, a bakery turning out macarons, the brightly colored French biscuits. High-end Pan-Asian cuisine plus cocktails and live DJ sets in an extravagant baroque setting. The best steak-frites in town, guaranteed quality at an excellent price. 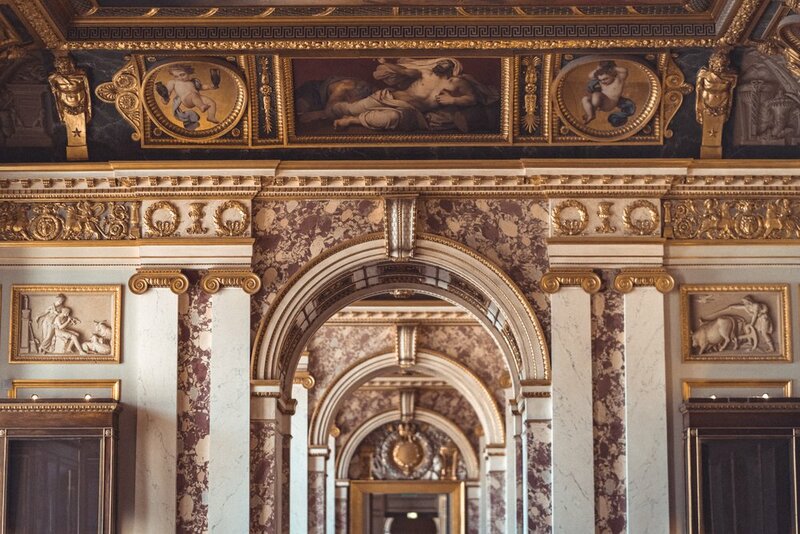 Cannabis Europa is honoured to be welcomed by the Maison de la Chimie and the city of Paris to set the stage for conversations that will shape this turning point in the European cannabis space.